Reviving old Delhi’s most revered recipes, Purani Dilli at Four Points by Sheraton Downtown Dubai, Mankhool marries erstwhile flavours with popular favourites of the region. The restaurant opened doors to guests, on January 14, 2019, amid revered delicacies and classical Indian symphonies, lending a regal touch to the evening. Influenced by the legacy of the birthplace of Mughlai cuisine, Dubai’s newest dining destination presents flavours of Old Delhi’s grand past in its most authentic form! The culinary team, helmed by Consulting Chef Mujeeb-ur-Rehman and Sous Chef Afroj Alam have created a unique menu that sublimely highlights the story and rich history behind Old Delhi’s popular flavours. Bringing over two decades of experience and expertise in India’s regional cuisines, Chef Mujeeb-ur-Rehman has done extensive research on Mughlai cuisine in order to dish out exemplary delicacies. “Recreating the symphony of flavours inherent to Mughlai cuisine was a challenging task. The cuisine is extremely vast and every dish employs the use of distinct spices, which helps impart that rich, inimitable flavour! By visiting Old Delhi’s buzzing streets, famous eateries and researching more about the spices, I was able to capture the essence of centuries-old Mughali cuisine,” explains Consulting Chef Mujeeb-ur-Rehman. Combining his love for spices with his detailed understanding of India’s famous regional cuisines, Sous Chef Afroj Alam brings a fresh, creative flair to his culinary creations. Decoding the complex layers of fragrant spices commonly used in Mughlai delicacies, Chef Afroj has delved deep into Delhi’s grand past. Following months of trails and training his kitchen team, he has perfected the delicate balance of flavours for every dish on Purani Dilli’s menu. 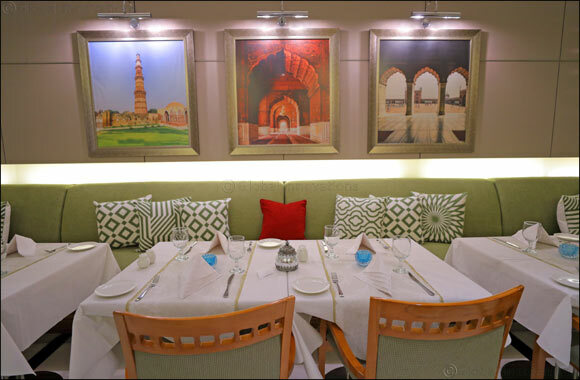 “While the menu at Purani Dilli borrows its flavours from the legendary kitchens of the Mughals, the culinary team has left no stone unturned. Prior to opening, we have invested months to ensure that every dish exhibits a perfect balance of flavours and aromas so that our guests feel like royalty each time they visit Purani Dilli,” shares Chef Afroj Alam.